Encounter issues validating picked inventory? Require more direction with pick and pack? Inventory management of published products with the supplier relationships, quantities and customers demands is a task that requires a level of complexity. To handle this complexity, our Warehouse Management Software, Wireless Warehouse In A Box™ provides 3PLs with functionality like; Lot control, Real-time revenue capture, Wave creation, Pick and pack processing, Billing and Invoicing, and more! Managing both ISBN, Internal and External part numbers at the same time. Tracking and organizing multiple releases of similar titles. Packaging challenges that have you paying dimensional weight vs. physical. Simplify your customers current publishing inventory. 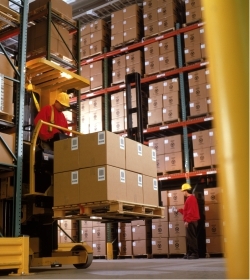 Organization and diligence your warehouse deserves. Our warehouse management system monitors vendor compliance, efficiently manages multi-channel distribution, and responds quickly to customer product demand resulting in optimized performance. In addition, it enhances publishing inventory management by increasing accuracy, improving order fulfillment and a decreased order cycle duration. Receiving and shipping are streamlined as well, facilitating cross-docking and expediting back-order products. In addition to these great features and being the Pioneers of Visual Pick Technology, our solution includes visual inventory management capabilities! Knowing how difficult it can be for floor operators to differ publishing inventory, we have integrated our visual warehousing technology which will pair the specific details of each piece of inventory with an image of the product showing you the contents and eliminating any pick, pack and ship mistakes you currently encounter today! And not only do we provide product imagery, our solution also provides pinpointed inventory locations on a graphical map of your warehouse displayed on a mobile device / scanner. No matter what type of service you provide — Contract, Public, Cold Storage, etc., Our Warehouse Management Software has been designed for adaptability and tailoring based on each individual business requirement.